So…this look. So many of my friends have asked me about my closet and if I’m constantly shopping. The answer is complicated. First, I am NOT constantly shopping. I can’t afford to do that! But I do have a very organized walk-in closet in our bedroom, along with a storage unit on our floor (not just for my clothes but for lots of our stuff!). So I only keep in-season clothes (Fall/Winter, Spring/Summer) in my closet at one time. When I do the changeover it’s a perfect time to go through EVERYTHING and keep/sell/giveaway. And this outfit is definitely a “shop my closet” look that I bet you could probably pull together on your own right now. Maybe not exactly, but how about exactly right for you. 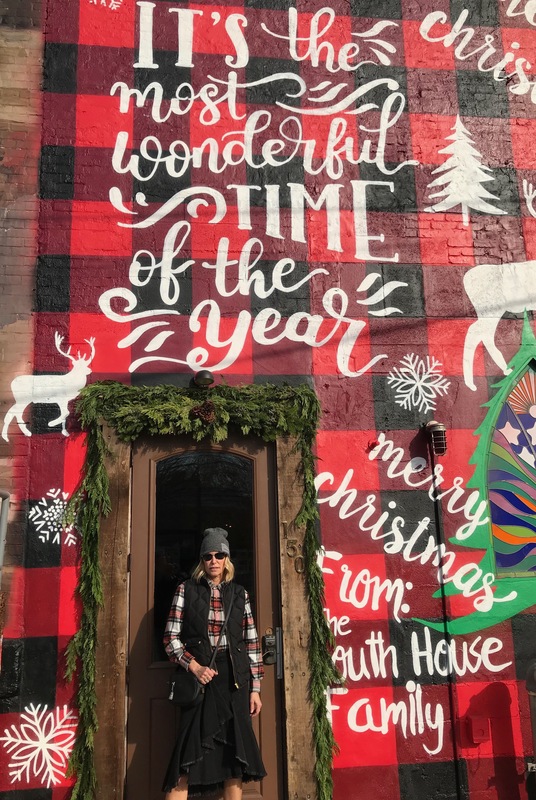 Hey…it is kinda the most wonderful time of the year, despite all the crazy and horrible things that are swirling around the news front. So I’m trying to be mindful of all that’s beautiful and not stress about what’s not. So it was fun to shop my closet for this look! Because the time is right!! I’m in love with this soft and cozy plaid flannel shirt. It’s made for chill temps and chill times. And I will be wearing it a lot over the next few months. I would normally pair it with skinny jeans, but I decided it was time to break out this super cool black denim skirt. I love all its details: frayed edges, flounce detail, midi length. It too has so many possibilities. 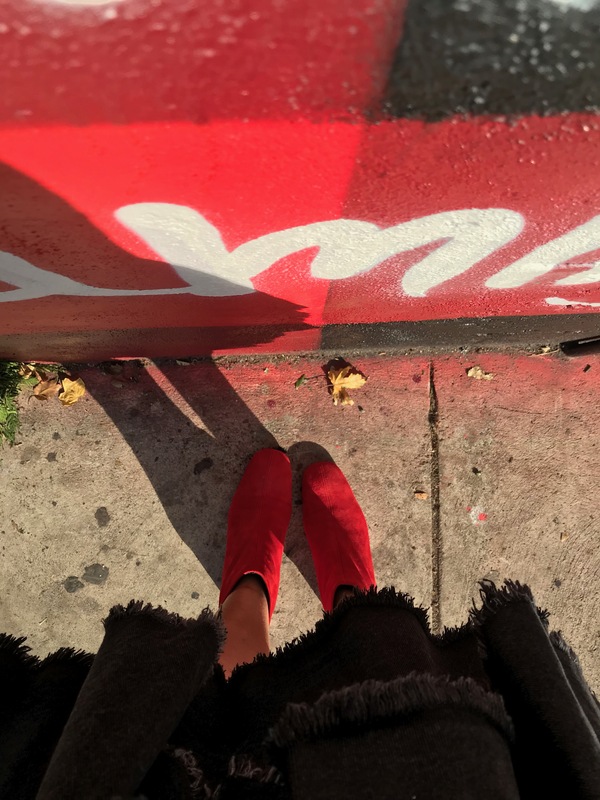 My red booties are from last year, but guess what, RED is the HOTTEST color of the season. It’s not my favorite, so these boots are the perfect nod — without overhauling my wardrobe. 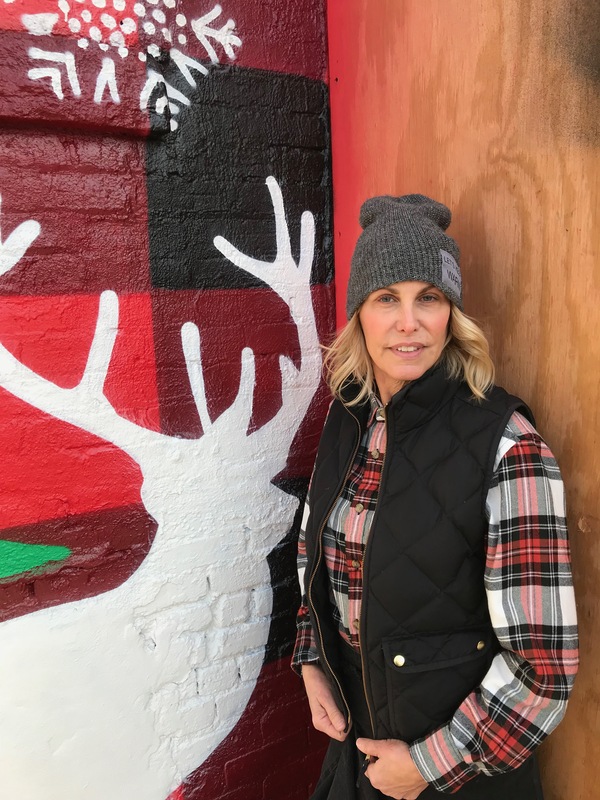 Finishing touches — my go-to black puffer vest (you need one! 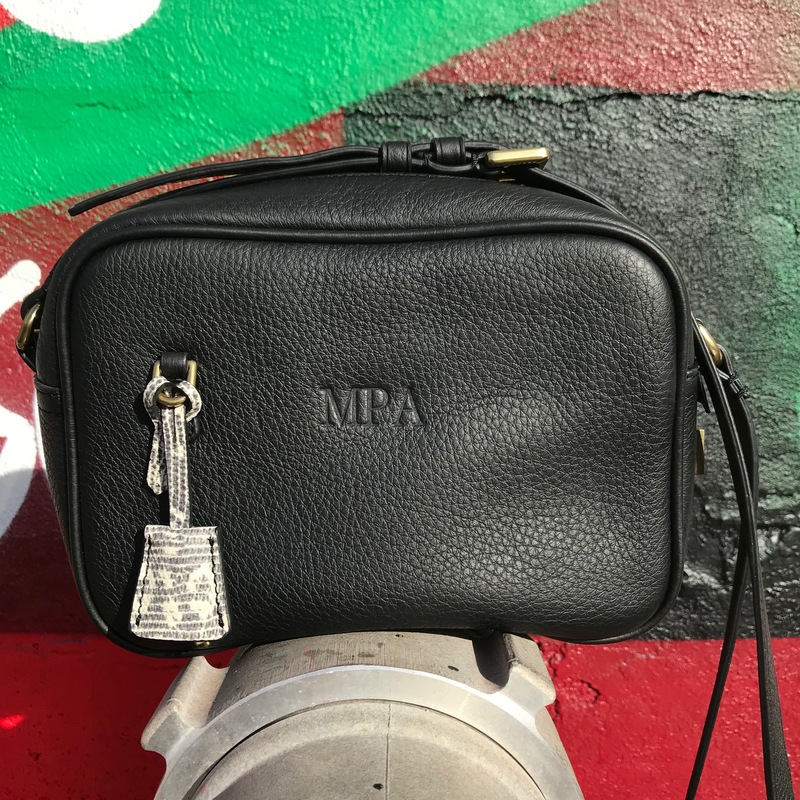 ), monogrammed crossbody bag (love!) and my “let’s stay warm” statement beanie ( so soft and light I never get hat hair). Speaking of hair…I got mine chopped into a LOB (long bob) and am LOVING it. My super talented Stylist Ilda wanted to do some loose curls. I said “go for it.” What do you think? Long or short? Straight or wavy?? Or…all of the above! And how adorable is this street art courtesy of South House, A JC favorite.